A new proposal in Oia (built 2008) is Lioyerma cafe with its pool located at the northern part of the the traditional village (above Ammoudi). Lioyerma (or liogerma) means sunset in Greek and the cafe is named after its privileged location above the Aegean towards the famous sunset to the west. 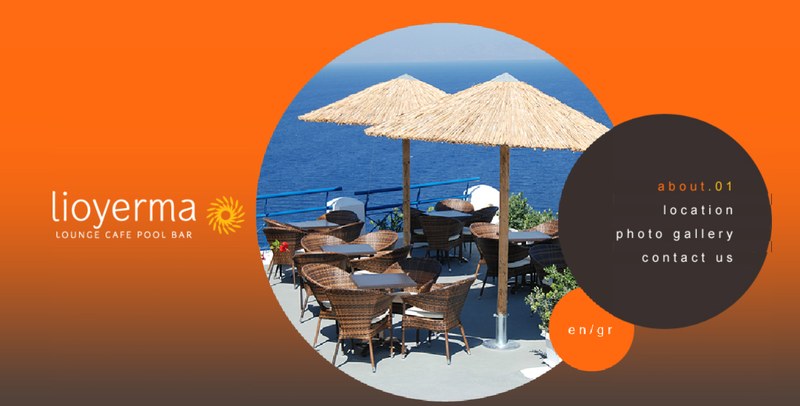 Enjoy spirits, wine, fresh cocktails, coffees and snacks facing the most breathtaking view of Cyclades and swimming at the biggest pool in Oia. The cave houses are 3-5 minute walk from “Lyogerma” which is open all day long (May-Oct). It has the best view to the famous Santorini Sunset!